Moving home should be an experience that everyone looks forward to. A new home and a fresh start are what await those involved. But, getting into a new home can actually be a nightmare of a challenge for anyone. From the labour intensive lifting to planning what to take and what to leave, it can all get a bit much for some people. When it comes to removals in Ardleigh Green, plenty of companies will offer assistance. However, not all companies have the level of experience and skill that Moving Service provides. 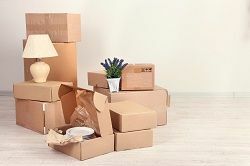 Having built our name in the area from the ground up, we have provided packing and unpacking services, man and van services, and removal assessment services to the community for years. Priding ourselves on integrity, we are the leading removals company in Ardleigh Green, RM11 for a reason. Next time you need help with removals, pick up the phone and call us on 020 8746 4402. After making the call we will talk to you in more detail and provide you with a free quote for your removal requirements. Where asked about the area, many may just be left asking where exactly it is. In fact, when it comes to it there isn’t actually much to say, but surprisingly that is part of the areas charm. It is a hidden away suburban development in the capital that remains largely untouched by the mass modern development that the rest of the capital has undertaken in recent years. Based in the London Borough of Havering, the area has a relatively short history under the Ardleigh Green name, having only adopted such since the early 17th Century. What makes up the area is simply a small set of shops and bus routes. However, it is also worth noting that Gidea Park, Emerson Park and Harold Wood railway stations are close by. The reason to move here will largely be because of the Ardleigh Green tranquillity it offers. If you have taken to the idea of moving to here, then you will want to make sure that the right removal company backs you. Don’t put the task into the hands of a cowboy, contact us today instead. Just because Ardleigh Green isn’t an often-discussed area, doesn’t mean that it is one that should be discounted. It offers plenty of residential potential that often goes undetected. Should you be making the move to Ardleigh Green, RM11 don’t make the mistake of underestimating the task at hand. Moving home will never be easy, but Moving Service are here to take the stresses and worries associated with it off your shoulders. From the moment you hire us we will get right to work, planning every aspect of your removals to Ardleigh Green. In fact, we can guarantee that our team will leave no stone unturned. Remember, we aren’t like other Ardleigh Green removals companies within the RM11 postcode, as we’re more experienced and well versed in the task at hand. Next time you think you’re on the move, pick up the phone and call us on 020 8746 4402, swing by our offices, or send us a quick e-mail. We will then provide you with a free no obligation quote, that not only shows off our budget friendly prices, but also shows that we truly are the best value removal service in town. 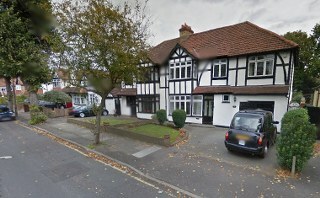 Praise for an excellent home removal company in Ardleigh Green. The crew was on top of everything, and I had nothing to be concerned of.